August Mobius was one of the 19th century's most influential mathematicians and astronomers. 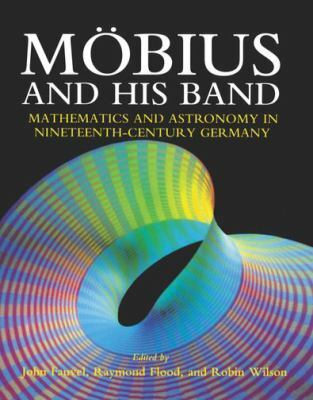 Written by six distinguished contributors, this book explores the work of Mobius and his brilliant German contemporaries. The work emphasizes those achievements which in many ways can be seen to reflect the exciting advances taking place at the time throughout the entire scientific world. The background to Mobius's life and labors is provided by John Fauvel. Gert Schubring examines the mathematical community in 19th-century Germany, while Allan Chapman describes the revolution in astronomy that took place during the period. Jeremy Gray analyzes Mobius's contribution to geometrical mechanics and Norman Biggs traces his role in the development of topological ideas. Finally, Ian Stewart explores the legacy Mobius left to mathematics in our own century. This stimulating volume will appeal to all scientists in the fields that Mobius helped advance--physics, mathematics, and astronomy--as well as general readers interested in the history of science.Fauvel, John is the author of 'Mobius and His Band: Mathematics and Astronomy in Nineteenth-Century Germany - John Fauvel - Hardcover' with ISBN 9780198539698 and ISBN 019853969X.